I get it. As a business owner, the thought of paying your employees to surf around on Facebook all day can seem a little cringeworthy. That’s probably why some companies, big and small, shy away from the whole social media scene. But what if I told you, that each post your employees shared on social, could grow your business one facebook like at a time? Yep, that’s right. It’s called Employee Brand Advocacy. Simply put, Employee Brand Advocacy is the method of making brand advocates out of employees by encouraging them to actively represent your brand on social. When employees are equipped and encouraged to share news and information about their organizations, they become a powerful force in authentic brand storytelling. So what can we learn from the big name brands out there killin’ the Employee Brand Advocacy on Social Media? Keep reading to find out. Let’s take Starbucks for example. The leader in employee social media advocacy. This company has a full blown army of brand ambassadors posting on their behalf everyday. How? With an awesome employee brand advocacy program. This program actually encourage all of their staff to share updates about the brand on their own social media accounts to help spread awareness and build relationships with the public. Not only does this boost employee morale, it also gives customers unique insight into Starbucks’ company culture. Starbucks CEO, Howard Shultzs, mentions in his book, Onward, “[Employees] are the true ambassadors of our brand, the real merchants of romance, and as such the primary catalysts for delighting customers. [Employees] elevate the experience for each customer – something you can hardly accomplish with a billboard or a 30-second spot. Starbucks isn’t alone in bringing employees into the fold. Zappos is a top brand for leveraging social as a part of their recruitment strategy. The popular online shoe brand encourages employees to include company information and opinions on their Facebook, Twitter and personal blogs, as well as their LinkedIn profile. They also offer special Twitter training for employees and encourage them to share updates about what they’re doing at work. These tweets document job interviews in a giant arcade ball pit, interns arriving to a receiving line of high-fives, and even a lunch break petting zoo. Zappos also keeps a “leaderboard” tracking which employees have the most followers. Score! Another big-name killing employee brand advocacy is Humana who uses social to mold their employees into perfect industry influencers. With almost 3,000 employees, Humana focuses their social media strategy on content style and giving employees "an expert voice.” By adding these “experts” into their social media strategy, they are able to tap into a larger audience versus if the brand was doing it all on their own. For business owners and CEO’s who are weary of allowing employees to implement their own content, Gingiss recommends creating an approval process. Brand social media posts shared by employees reach 561% further than the same posts shared by company pages. So not only can the use of social in the workplace empower employees, but businesses can exponentially increase the size of their social selling channel. Social Media Employee Advocacy Programs can help guide employees to use both online and offline methods to drive brand awareness, generate leads, and deepen customer relationships. 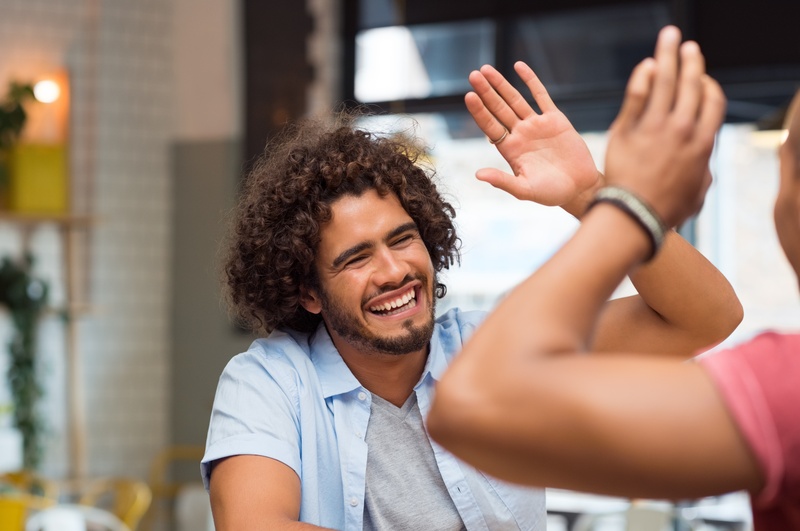 When structured well, you empower everyone at your company to become part of the conversation and to share their unique perspectives about the great work everyone is doing at your company. It’s time to give your employees a voice. Twitter Promote: Is this new automated ads feature right for your business?